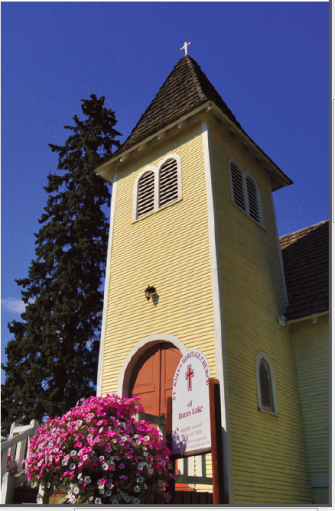 The St. John’s Anglican Church, located on First Avenue, was constructed in 1927 by J.H. Kerr, the resident priest at that time, and was opened to the public in 1929. With a prominent hillside location overlooking downtown Burns Lake and a unique arched doorway, St. John’s and its companion building, the Old Rectory, are among the most photographed buildings on Highway 16.